DEAD AGAIN is the follow up to 2014’s TELL MY WHY and takes readers back to a deceptively peaceful-looking rural Victoria. At the novel’s outset journalist Georgie Harvey has been commissioned to write a feature on the two-year anniversary of devastating bushfires that killed many people and saw countless homes lost. She begins attempting to draw out individual stories of several survivors but soon starts concentrating her efforts on one family in particular. Meanwhile, in nearby Daylesford, the policeman who Georgie met in the first novel is investigating a series of local burglaries and dealing with a dangerous domestic violence situation. 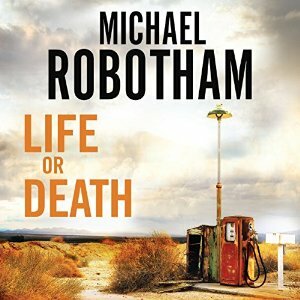 Although the central setting here is a fictional town it’s clear that the parts of this novel dealing with the bushfires and its survivors is drawing on very real-world experiences of such events. There is a genuine authenticity to the feelings expressed and behaviour exhibited by the survivors. I admire this realism but it is also one of the things that made the novel a difficult one for me, though perhaps not for the expected reason. It made it almost impossible for me to read about Georgie and her behaviour which I found abhorrent. The way she bullies her way into people’s lives – assuming she has a right to do so because there’s a story there – made my skin crawl. When she deliberately engages a child survivor of the bushfires explicitly against the girl’s mother’s request I wanted to report her to whatever authority I could find. I know this says more about me and my hatred of invasive journalism than it does about the book but as a reader I can’t help but drag along my own biases and journalists with questionable ethics are a particular bugbear of mine. I would like to have seen some consideration of the ethical issues associated with Georgie’s journalism, aside from the very casual brush-off she gives the matter herself. I don’t know if my intense dislike of Georgie’s behaviour overshadowed the rest of my reading experience or whether it would have been the case anyway but I struggled to engage with this novel as a whole. The investigative thread that Georgie teases out from her coverage of the fire survivors is actually an interesting one but the other threads – the ones taking part in policeman John Franklin’s part of Victoria – never really engaged me. In fact this content seemed to be acting solely as a means of keeping the potential romance between John and Georgie alive. For about half of the book there seems to be no reason at all that we regularly switching between what’s happening in Bullock (the fictional town Georgie is working in) and the day-to-day life of John Franklin other than we know the pair have some kind of ‘connection’. For me anyway DEAD AGAIN feels like it’s trying to be too many things at once: jumbling police procedural, modern romance and investigative thriller elements in a way that nearly works but doesn’t quite do so. The combination of a journalist and police investigator has potential but here it felt forced and unrealistic which jarred with the more authentic elements of the novel which include many of the minor characters in addition to the parts of the story dealing with bushfire survivors. Georgie’s professional lack of ethics and her ever-present willingness to fling herself into incredibly dangerous situations made her a chore to read about for me and though I often proclaim I don’t need a protagonist to be likeable I do need them to engage me in a way that doesn’t make me want to fling their book at a wall in sheer frustration. 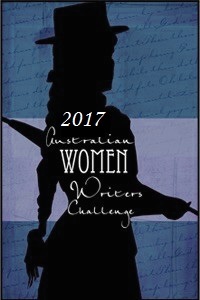 This is the 6th book I’ve read and reviewed for the 2017 Australian Women Writers Challenge. For more information about the challenge check out my challenge progress, sign up yourself or browse the Challenge’s database of reviews. Georgie Harvey is a Melbourne-based writer who starts looking for a possibly missing elderly woman from the nearby country town of Daylesford as a favour to a friend. In that town John Franklin, one of the local policemen, is investigating a series of threatening letters being sent to new mothers in the area and he’s not too interested when Georgie tries to involve police in her hunt for the missing Susan Pentecoste. But Georgie becomes convinced Susan’s sudden disappearance is more sinister than it appears on the surface as she starts to uncover links to major incident five years earlier. Rural settings have had something of a resurgence in local publishing in recent years so it doesn’t surprise me to see a crime novel labelled as the first in a series of rural crime files. 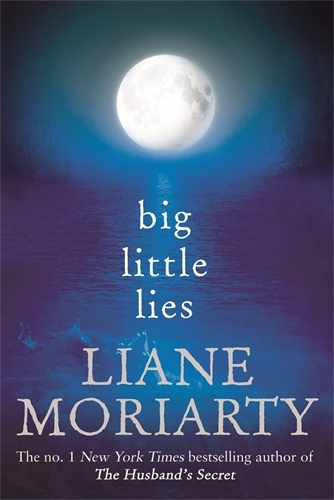 Happily though this is more than just bandwagon-jumping as Wallace clearly knows the locations in which the events she depicts take place, making the setting of this novel is one of its strengths and giving the reader a sense of the realities of small town life. The story too is well constructed with both plot lines developing nicely over the course of the novel. Although there are the requisite red herrings I liked the fact that the resolution to both major plot elements were grounded in reality and didn’t get lost down rabbit holes involving the kind of lunatics you only find in fiction as I feared might happen towards the beginning of the novel. I also enjoyed the way the main characters were developed. Both are strong characters with lots of good qualities and some annoying ones, like most people, and are very believable. John Franklin’s troubles as a single parent, including the impact this has on his career aspirations, is well drawn as is Georgie’s desire to hang on to the few family-like connections she has in her life. For me the romantic tension between these two characters felt forced and unnecessary but I’ll admit to being almost completely fed up with the “will they, won’t they” kind of plot line. Overall though TELL ME WHY is an above average debut novel with lots of promise for future instalments. It feels very Australian without relying on out-dated clichés and has a good story with engaging characters. I’ll be keeping an eye out for rural crime files number two.